A moving cemetery that’s not going anywhere | Where to next? 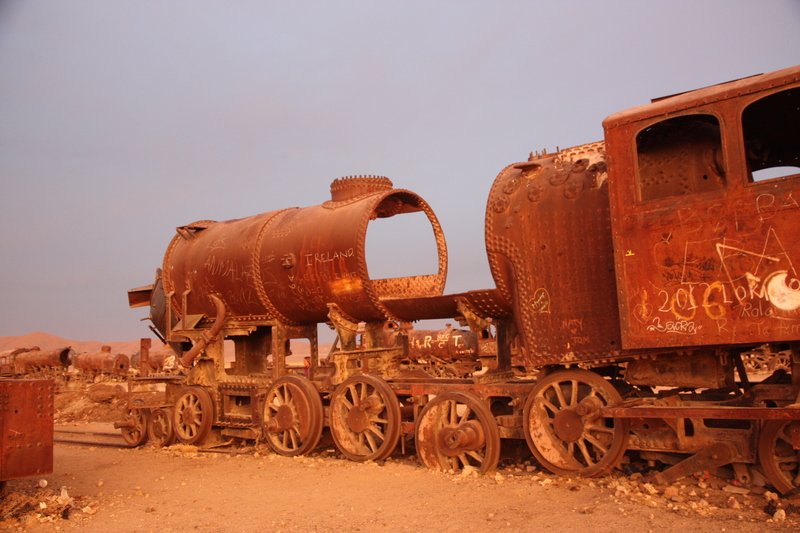 The world is full of train buffs and I’m wondering why a group of them haven’t descended upon Uyuni in Bolivia to create a proper museum out of the many train carcasses rusting away not far from the Salar de Uyuni (salt flat) of Bolivia. I should have, but didn’t, count how many train parts are languishing there, but the overall display is massive. And the variety of pieces is overwhelming. Someone needs to do a catalogue. The cemetery is connected to the town of Uyuni—3 kilometres away—by old railway tracks. 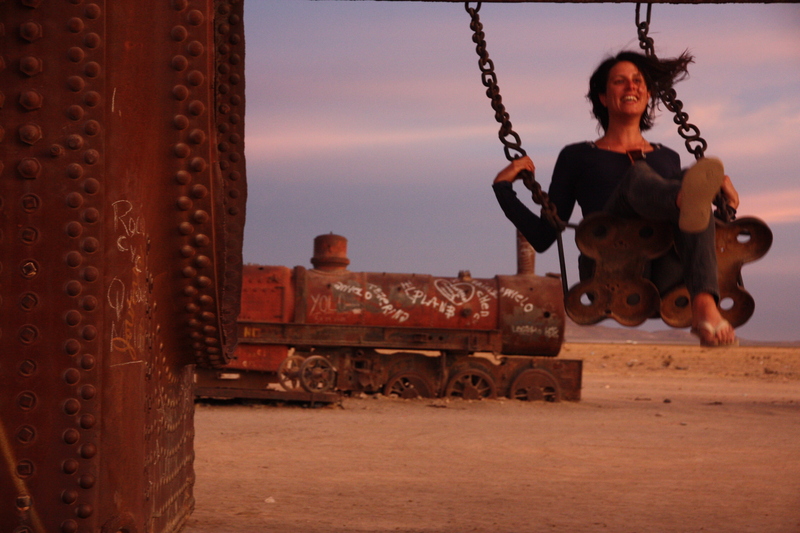 Uyuni was once a distribution center for trains carrying minerals to ports on the Pacific Ocean. The rails have been there since the late 19th century, when British engineers were invited to come build them by the then British-sponsored Antofagasta and Bolivia Railway Companies. The Bolivian president at the time, Aniceto Arce, encouraged the project, because he thought a good transport system would help Bolivia to prosper. Unfortunately, he didn’t count on frequent sabotage by the indigenous Indians, the Aymara, who thought the railway intruded on their lives. Over the years, the mining companies were the main train users. But when mineral reserves were depleted by the 1940s, the industry collapsed and the trains were abandoned to the elements. We arrived in late afternoon and hung around until the sunset. It seemed fitting to see the sun go down on these metal beasts, but I hope the day comes that an actual museum is created. Am THE BIGGEST train fan there is, TRUE! LOVE the old steam engines and if you EVER wondered where the WHOO HOO comes from, you now know too! Sounds like the perfect romantic sunset train memory! This place was amazing. I’ll share more pics when I get home. WHOO HOO! Western style – looking forward to going there as well!! Hi Sebastian, I think you’ll love the train cemetery. Try to go in the afternoon and stay for sunset. This was one of my favourite stops in South America. Oh, and to be there at that time of day. So glad you enjoyed it too.